Abu Ali Island is about 125 kilometres north of Dhahran and is joined to the mainland by a causeway. A security post is placed at the start of the causeway to check to ensure you are allowed access. I had to show my ID card but as I work for Saudi Aramco and this is a Saudi Aramco run island I was allowed over without issues. It is apparently open to all at weekends but not during the week. 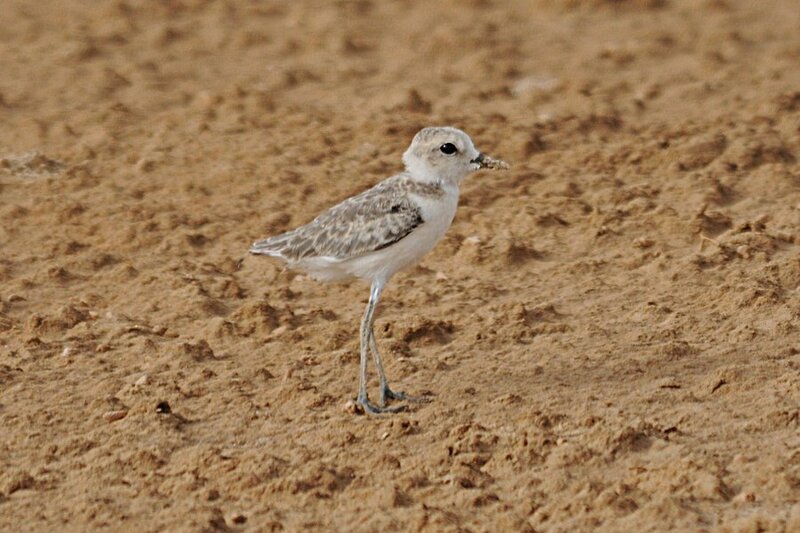 The island is a flat area of mainly sabkha with little vegetation, but there are a few nice muddy edges and small mangrove stands that look like they may be good for waders at the right time of year. I saw one Eurasian Oystercather, six Eurasian Curlew and one Common Greenshank as well as hundereds of Kentish Plover which have obviously bred here as I saw many well grown juvenile birds. Towards the end of the island near the loading port there is a large pool on the left hand side of the road that has a thin sand island running most of its length. This island has breeding White-cheeked Terns present with many fluffy young running about. This pool also held four Great Crested Grebes which is only the second place in the Eastern Province I have seen the species with the other being my local patch percolation pond. 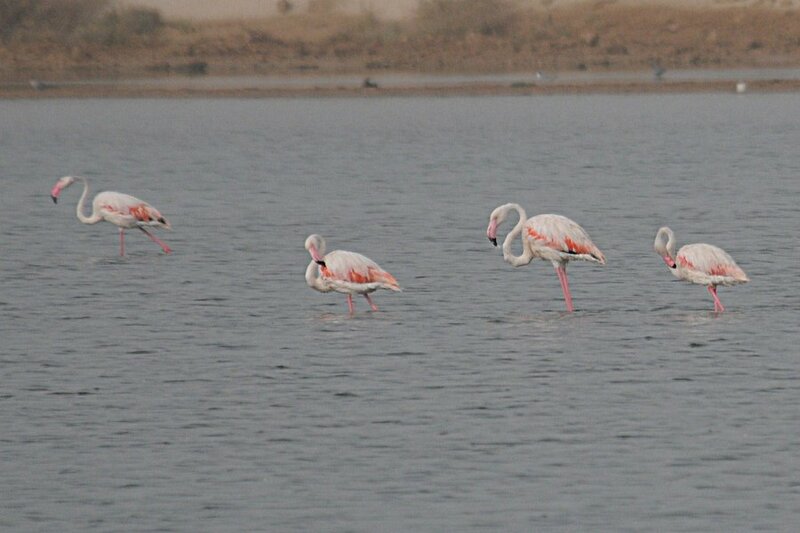 Nine greater Flamingos were also present on this pond. Apart from these birds there was very little to be seen apart from a gathering of 15 Black Kites sitting on telegraph poles just across the causeway from the security hut. 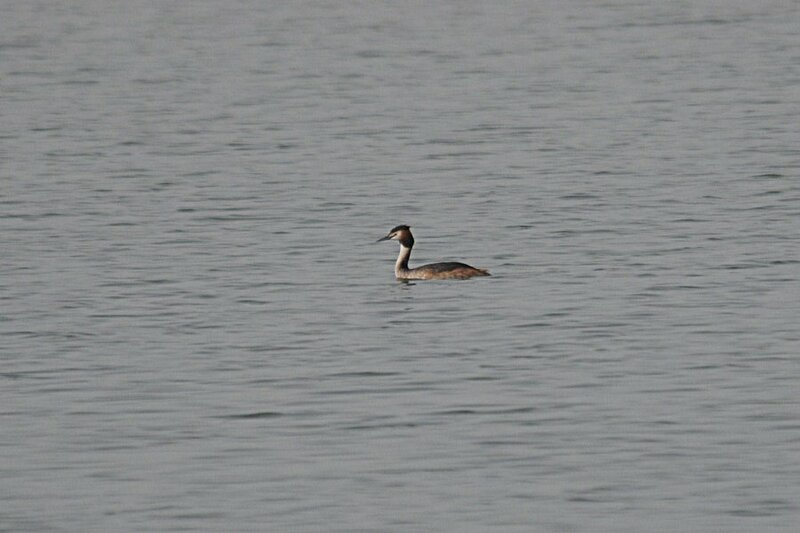 I am trying to find out what sub-species they are and will post details on these birds later. 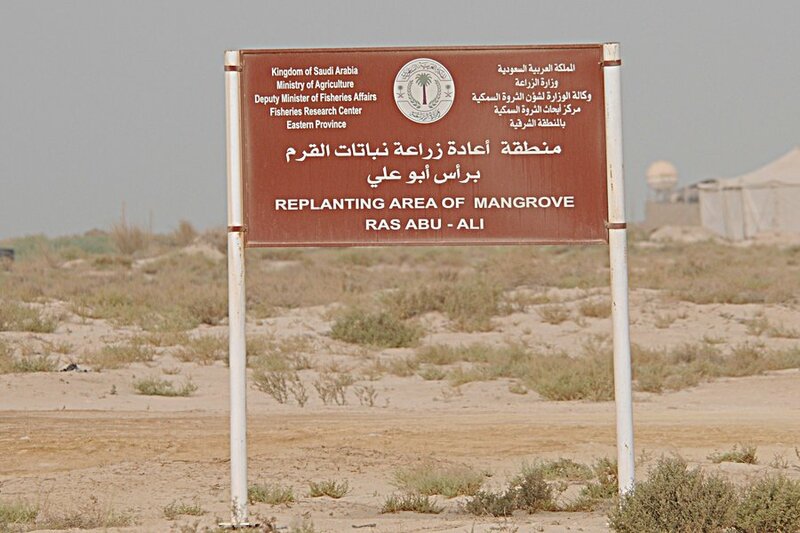 One good thing I saw whilst on the island was a number of signs saying mangrove planting was being carried out which is a good thing as the last remaining mangroves in the region are restricted in number and small in size.